Big Band Show for Saturday night with swing era favorite Benny Goodman. 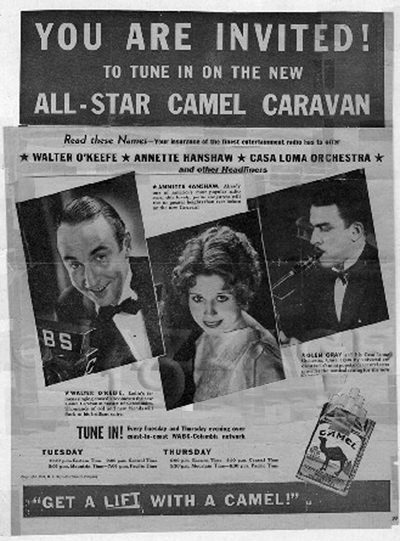 Camel Cigarettes brought us three great shows in the late 30s, the radio version of Blondie on Monday nights, on Tuesday The Dixieland Music Shop with Bob Crosby and Johnny Mercer, and on Saturday nights "the King of Swing" Benny Goodman on The Camel Caravan. R.J. Reynolds Tobacco explored many different avenues to promote their first packaged cigarettes, Camels, which were introduced in 1913. The Camel Caravan was launched in late 1933 as a vehicle for Glen Gray and the Casa Loma Orchestra. Gray was a successful saxophonist and big band leader; after retiring from touring, he went back into the studio for Capitol Records to recreate the Big Band sound on stereophonic disks. The foundations of what would become "Swing" were laid in the big band jazz of the 20s and early 30s. Based on the improvisational rhythms born in New Orleans, which became part of the Harlem nightclub sound, "Swing Jazz" was a phenomenon waiting to happen. Audiences, especially white audiences, had accepted the styling of "Sweet Jazz", but hadn't quite realized they were ready for the strong rhythms and groove of the very danceable Swing. 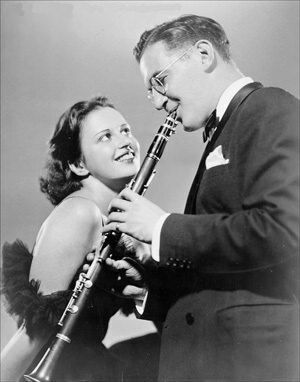 Benny Goodman had made a number of recordings with his and other bands, and had some success in a late-night slot on NBC's Let's Dance. What Goodman hadn't realized was that late-night in New York was prime-time on the other coast, and he had a large following in California. When sponsor troubles canceled Let's Dance, Goodman took his band on the road for what started out as a less than successful US tour. They were surprised by their reception in Oakland on Aug 19, 1935, when kids started dancing in the aisles. The next night was another flop in Pismo Beach, but a three week engagement at the Palomar Ballroom in LA started on the 21st. Here, the West Coast following of Let's Dance along with a good deal of local airplay of Goodman records had the audience primed to see the Goodman band in person. During the Palomar Ballroom engagement, kids in the audience began doing a dance called "The Jitterbug", and the Swing era was born. 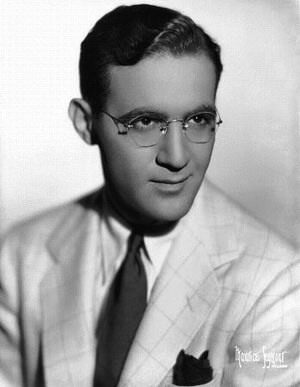 Goodman would broadcast from Chicago during 1935-36 as "the Rajah of Rhythm", but in June of 1936 he moved the band to Hollywood to star in Camel Caravan while filming The Big Broadcast of 1937 for Paramount. With Goodman behind the wheel, the Caravan became a sort of Swing Club with the band leader as club president. The shows were weekly club meetings with plenty of hot tunes from the Benny Goodman Quintet and other groups, including vocalists Martha Tilton and Mildred Bailey. 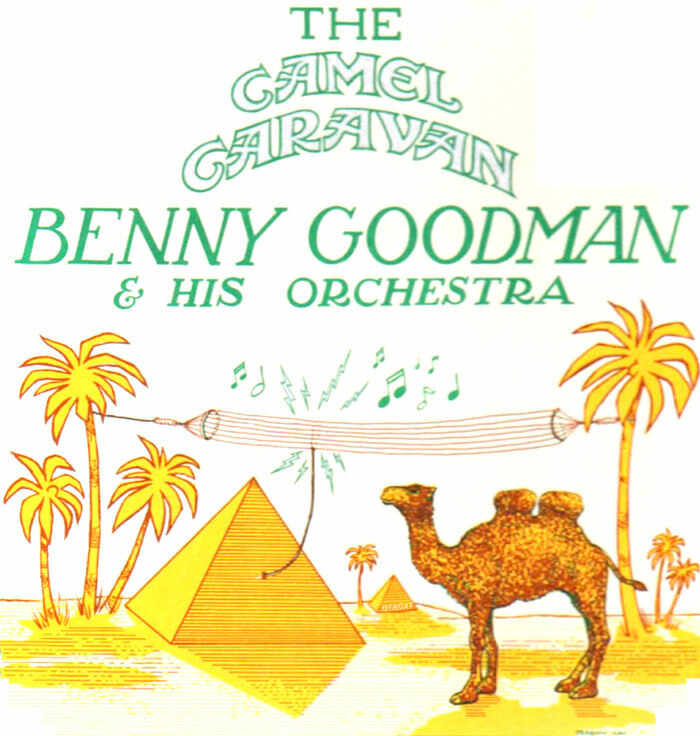 Benny Goodman stayed with the Caravan on the radio network until 1939, and also did a Camel Caravan show on the rival network, sometimes called The Camel Hot Club. In summer of 1939 the radio network program was taken over by Bob Crosby. Be the first to comment on "Camel Caravan (Benny Goodman)"